Ceòl na pìoba bho leithid Dòmhnall Moireasdan, Ailean Dòmhnallach agus Murray MacEanruig. Pipe music with Cailean MacLean including tunes from Donald Morrison and Murray Henderson. Cailean MacIlleathain le ceòl na pìoba bho leithid Dòmhnall Moireasdan, Ailean Dòmhnallach à Gleann Uige, Murray MacEanruig, Fred Moireasdan agus Còmhlan Pìoba Poilis Srath Chluaidh. 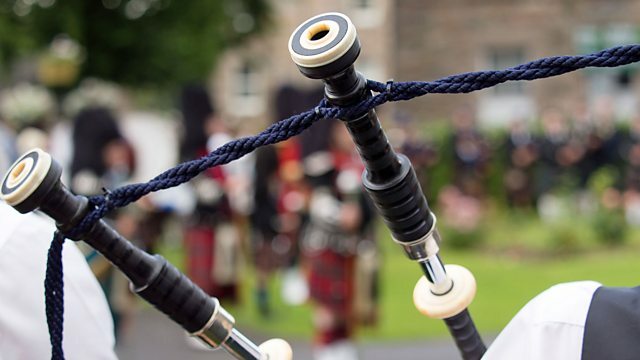 Cailean MacLean introduces pipe music from Donald Morrison, Allan MacDonald from Glenuig, Murray Henderson, and the Strathclyde Police Pipe Band.